So many weighty questions remain unresolved as this miserable old year runs out the clock. Who’s the best at writing lawyer fiction: John Grisham or Michael Connelly? That’s the question keeping me awake on the last night of 2013. I’ve read more of Grisham than Connelly. 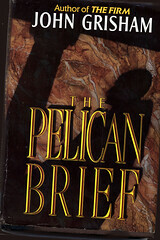 In fact I think I’ve read all of Grisham’s stuff, except his recent dabbling in the juvenile market. I just finished his latest, “Sycamore Row.” It’s classic Grisham with a deep-South setting, Clanton, Miss., a town caught in a racial time warp. Clanton is modern enough to have an elected black sheriff, but the rural backwater keeps producing court cases highlighting its history of racism. A Grisham trademark is fast-paced suspense — maybe a chase scene — after a long buildup. 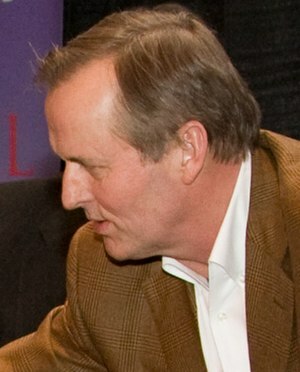 Many of Grisham’s novels delve deeply into a particular legal quagmire, such as the death penalty, product liability, environmental pollution, or class-action suits. You feel like you’ve been through a law school seminar, except it was fun. Several books focus mainly on the trials and tribulations of life as an attorney, whether a small-time street lawyer or a high-powered type in a big-city firm with dozens of wealthy partners. All Grisham’s books showcase compelling characters, many of them innocent bystanders rather than lawyers. I think “Sycamore Row” highlights the long historical and cultural shadow of racism better than any of his previous books. It also brings out some subtle ethical issues confronting friendly lawyers and judges in a county-seat courthouse far from the big city. I wouldn’t give any Grisham book a grade lower than a C+ or a B. Maybe a couple of his ventures outside the lawyer-courtroom genre, such as”Playing For Pizza” or “Skipping Christmas” would rate a C+. Nearly all of Grisham’s lawyer novels deserve an A or A+. “Sycamore Row” ranks near the top. 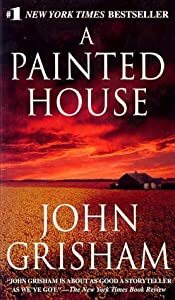 As an aside, “A Painted House,” an outside-the-genre Grisham novel, gets high marks from me, although some readers didn’t like the story. Grisham is, in short, a master in his field. The night is getting on toward dawn, so I’ll take up Mr. Connelly’s contributions in a separate post. Part 2 is right here. This entry was posted in Books and tagged Fiction, John Grisham, Lawyers, Race relations, Sycamore Row, Writing by Editor (Retired). Bookmark the permalink. This post and your others on them are a great analysis of two of the masters. Regarding outlining, I’m with you and Stephen King in that I tend to let the story flow as I write it and it often takes unexpected turns. I start off with a big idea in my head, a general destination I would like to achieve and let the story take me where it wants. The upside is many ideas that tend to build from each other. The downside is a lot of dead-ends that end up having to be scrapped. Although not an outliner, I’m a huge reviser and also huge analyzer in retrospect. Is there a term for going back and studying what you’ve done and trying to look at it from multiple angles to get ideas where you want to go next? I guess that’s the flip side of writing without an outline. I nearly always spend a lot of time revising, and sometime I do one rewrite after another. Maybe I’d save more time in long run if I just outlined up front. Far as analyzing my own work, I don’t think I can do it objectively. I wish I had an editor, or at least someone patient enough to read my blathering and give me honest feedback. For analysis from several angles, I think I’d need several critical readers.